We are proud to announce that CEO has now been fully integrated into the mycca.net platform, giving Independent Consultants access to the most comprehensive college planning platform on the market. They can access CEO directly from their counselor mycca.net accounts without having to re-select any colleges for their students. The rate will be a flat fee of $34 per student, regardless of how many students you create CEO accounts for. 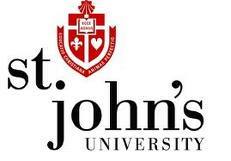 Each student account will have a maximum of 20 college selections instead of 15. If you are already a mycca.net member who has purchased CEO, your current CEO student accounts will automatically transfer over so you can access them through mycca.net. You will still be able to access your CEO master account directly through CEO, if you'd like. If you are already a mycca.net member but have not yet purchased CEO, we encourage you to try your free CEO student account within your mycca.net account. It will take less than a minute and will save you hours with each student. If you are not a mycca.net member, please click here to check it out so you can discover the benefits of a comprehensive college planning platform. All mycca.net members will receive one FREE CEO student account, whether you have already purchased CEO independently or not. We look forward to making your educational consulting job even more efficient and successful! Lake Forest College in Lake Forest, Illinois, has a reasonable amount of essay requirements for its basic application - 4 on their own college application, or 2 supplements if you're using the Common Application. But I'd bet you didn't know they have 23 scholarship application essays. Allow us to repeat: that's 23 additional essays. Schools like Lake Forest are not uncommon. CEO's database is full of schools that have four or five basic requirements for admission, but more than ten optional, department-specific, and scholarship essays that come along with the regular application work load. The University of Puget Sound's admission office steps it up with 22 department-specific and scholarship essays. The University of Kentucky admission office doesn't mess around either - 16 department-specfic and scholarship essays. But at CEO, we want you to look at this as a benefit rather than a problem. We do the work for you of searching for and organizing your essay requirements. One of the great perks of CEO is that we turn you on to departments and scholarship money you didn't even know existed. So when you're using your Essay RoadMap and you see a surprisingly big number of total essays (hello, anyone applying to NYU), just know that we've pointed the way toward some great opportunities. Seniors, if you haven't yet made significant progress on your college essays, we encourage you to get some help from College Essay Organizer ("CEO"), which instantly provides all your essay questions in one place and shows you how to write the fewest essays that work for all of them. Even if you're using the Common App, most colleges require various supplemental, program-specific, and departmental essays, many of which you won't find on the Common App and are difficult and time-consuming to find on the colleges' websites. 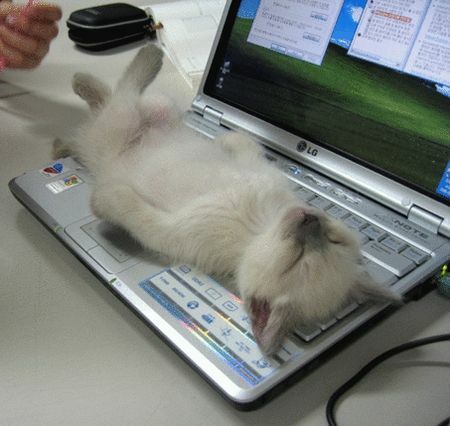 Once you're in, simply select your colleges and CEO will do the rest, saving you hours and instantly eliminating procrastination and stress! Need more info? Click the image below to read more about CEO's benefits! Posted in News | Comments Off on Welcome, A-List Members! 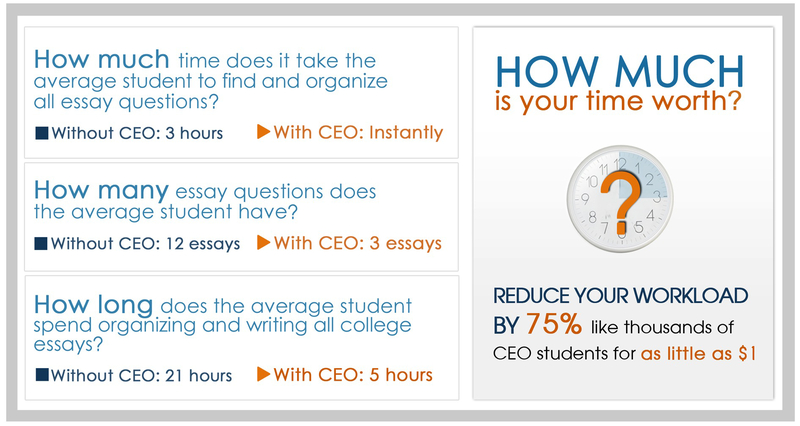 College Essay Organizer (”CEO”) is the only one-stop source for the college essay process. 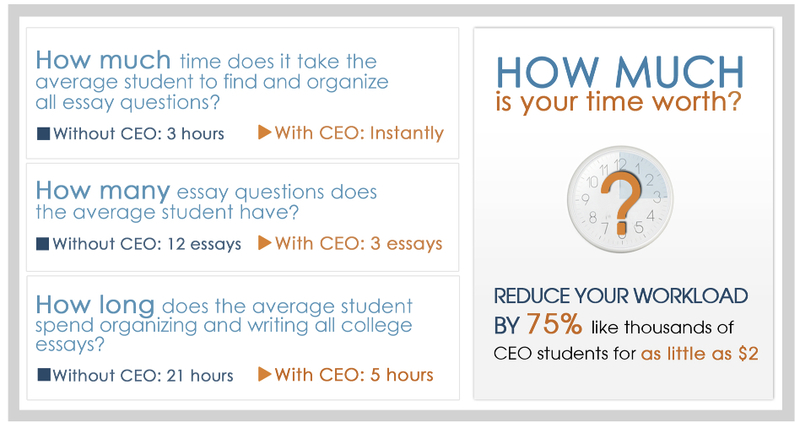 CEO instantly provides all your college essay questions and then delivers a plan for writing the fewest essays that answer all your questions. Ready to get started? Click here to get your student account started NOW! Use the promo code summer7 to get your Essay QuickFinder FREE!